With a maple and walnut cradle decorated with intricate inlaid-trim pieces of geometric lines and flowers, the 18' Grand Hudson is sophisticated and sumptuous, a fantastic addition to any part of the home. 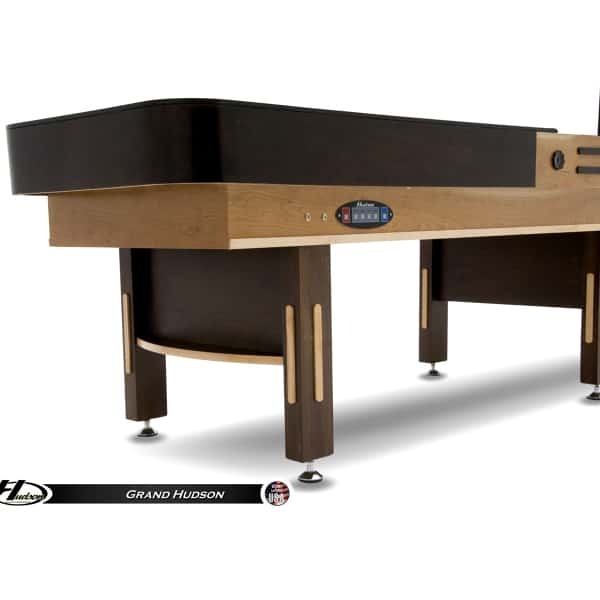 Yet the magnificent materials, styling and designs hide a special feature of this Shuffleboard Table: a professional-quality playing surface at a competitive price. 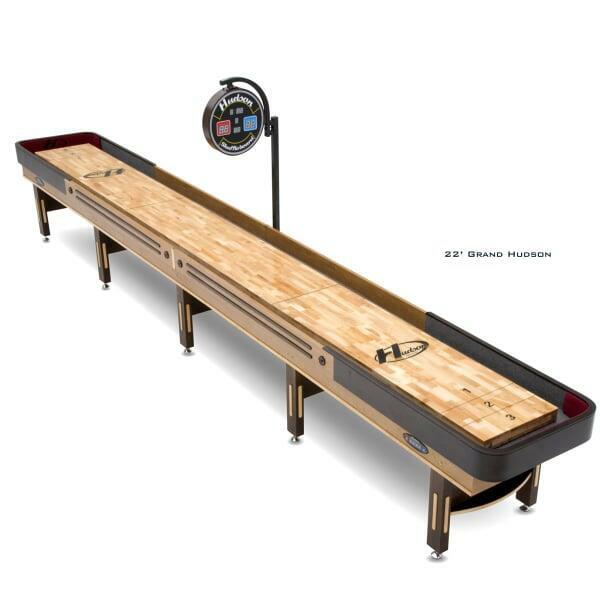 Both the occasional shuffleboard devotee and the skilled professional maven will enjoy the 3" butcher-block playing surface. 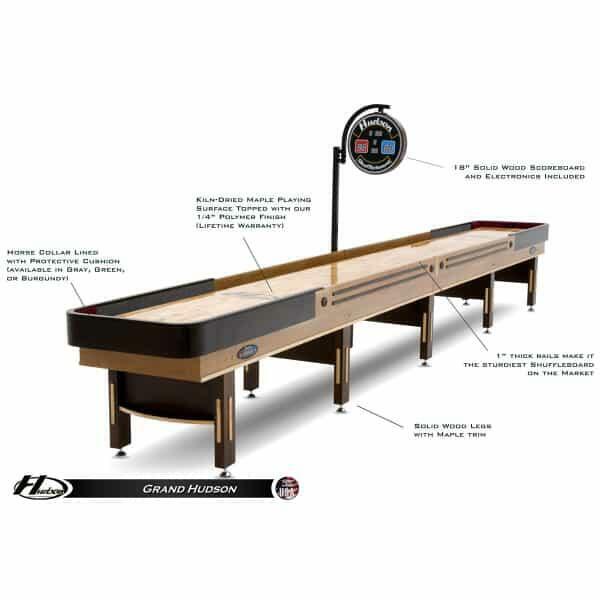 The polymer finish over the surface ensures the best game experience, while the hip and modern 18" electronic scoreboard will allow you to keep an eye on the score while you play. This is why the best players in the world, including 27-Time World Champ Billy Mays, play on and recommend Hudson Shuffleboards! 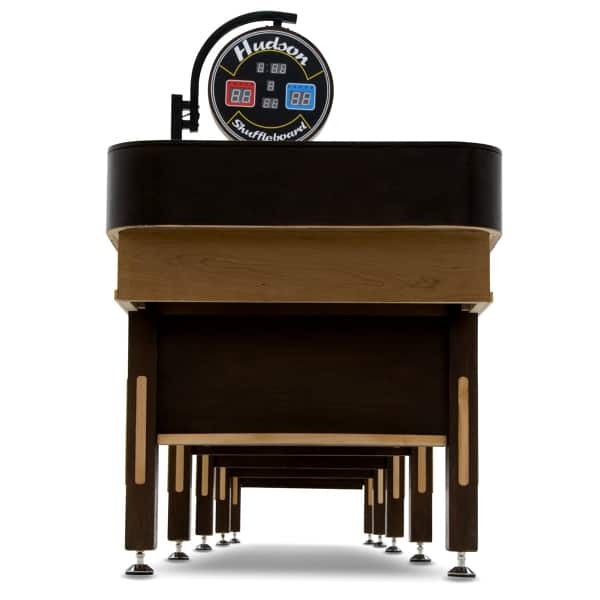 Hudson combines the highest quality materials and design all at an affordable price! So be frugal while sparing no expense! 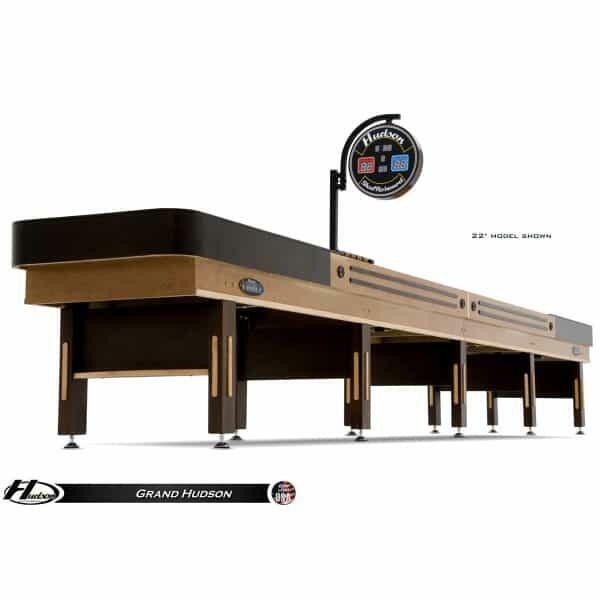 Contact Family Leisure today and ask about the 18' Grand Hudson Shuffleboard Table!